and we all started chanting Tu-Tor-i-al??? Today I am sharing the Distressed Gold Foil technique I recently used on another card. A few of you asked for a tutorial, so I will be walking through the steps on how to achieve this look. 1. 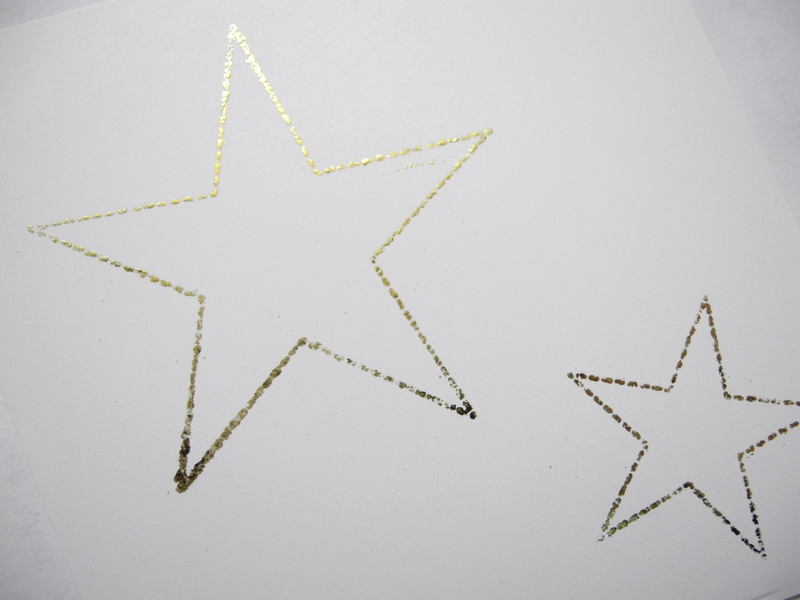 Stamp and heat emboss the stars on white cardstock. 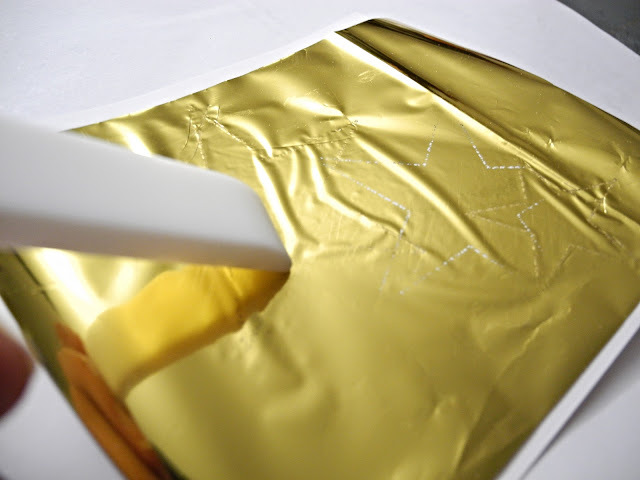 Working quickly, lay a sheet of gold foil, gold side up, over the warm embossing powder. 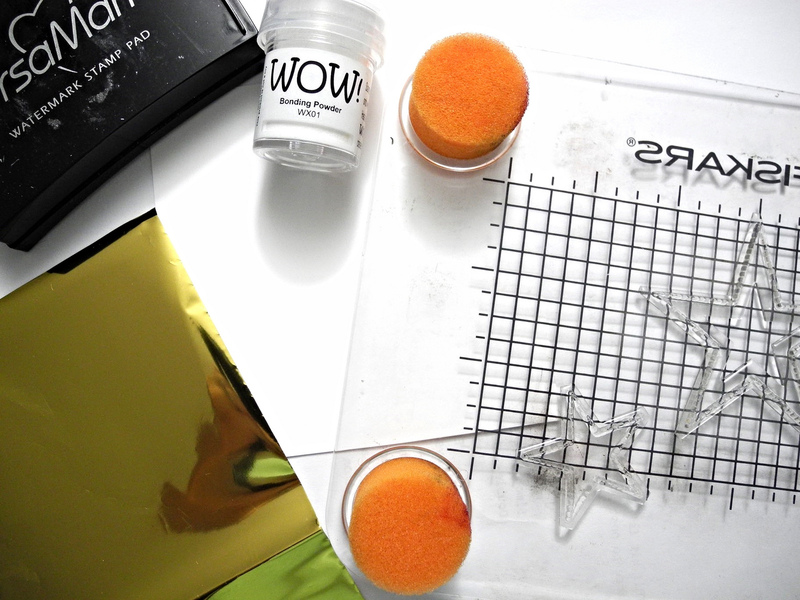 Use a bone folder to burnish the foil over the embossing powder. As the foil sticks, you will see it the shape while you are working. 2. Keep in mind that this is a distressed foil method. Your foil will look DISTRESSED, not smooth like it does if you use the laminator or a foiling machine. Gently lift the foil sheet off of the image to reveal your foiled image. If needed, you can reheat an area and apply more foil. Die cut your stars. 3. Trim a black panel and die cut one star for the negative cut image (as seen in the completed project photo. Using the same foil technique, stamp, emboss, and foil the sentiment. Because this is a more solid image, you can really see the distressed look on it. I love it! 4. 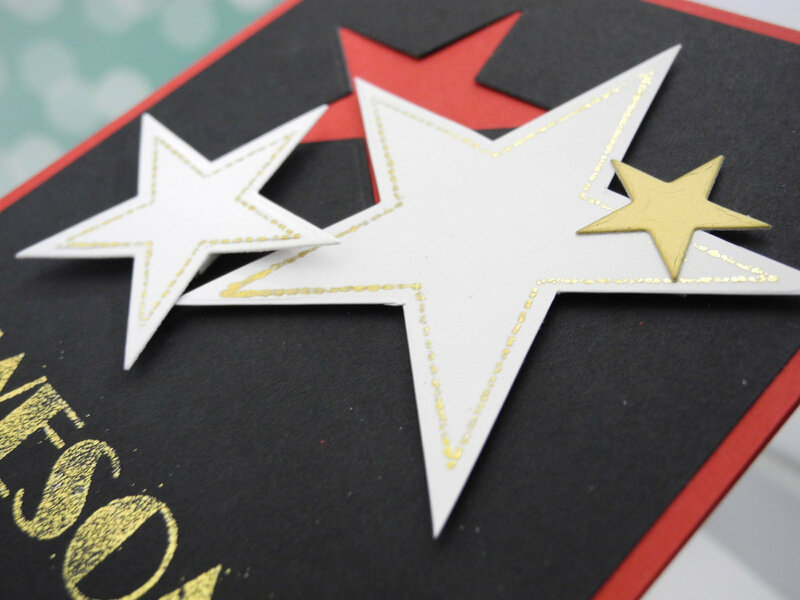 Assemble your card, adding a gold die cut star to the mix, as well. Use foam tape to pop up your stars. Mount the black panel on a red card base for a dramatic look. I think we owe her a round of applause! Applause! 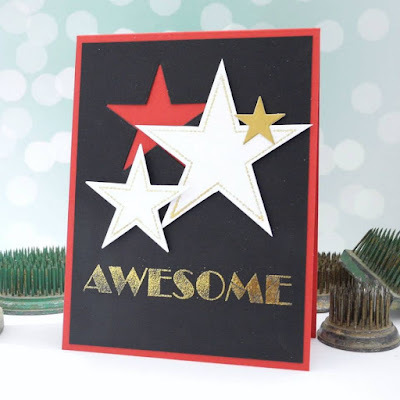 Love this distressed foil look especially using supplies on hand, thanks! Beautiful canard! This looks like a bunch of fun and I love the results. Can't wait to try it. Awesomely cool and what a fun technique - thanks for the pics and the how-to's!